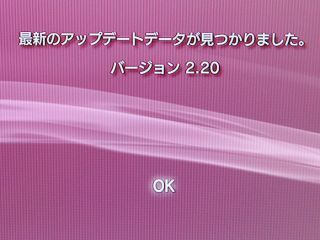 We've known about it since last week, and now it's finally here - Sony's firmware update for the PlayStation 3 arrived a few minutes ago to bring the full Blu-ray experience to the PS3. As expected, BD-Live features on interactive Blu-ray movies will now work with the PS3 and the ability to resume playing a disk from where it was left off has been added. The full hand of minor upgrades that we discussed last week are all present and correct, although there's no sign of the rumoured ability to copy Blu-ray films to a PSP. We've tested the upgrade at our Tokyo office and can confirm that it works, so let us know if your mileage varies at all.